New York native Julian Tepper is a man of many talents. As the bass player for the indie rock band The Natural History, he co-wrote Spoon's hit "Don't You Evah" and helped produce his band's two studio albums, Beat Beat Heartbeat and People That I Meet. Film director Stephen Daldry casted Tepper in a featured role in 2011's Extremely Loud and Incredibly Close. Julian is the co-founder of the The Oracle Club, a salon and workspace for artists and writers in New York. 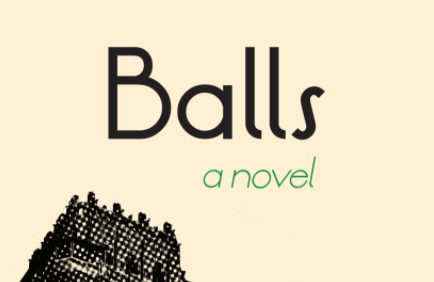 Balls is his first novel. What happens when a twenty-something literary child of Woody Allen meets a captivating therapist who diagnoses every trauma as 9/11 PTSD? The one thing that's never supposed to.... Read an excerpt from Balls, Julian Tepper's debut.